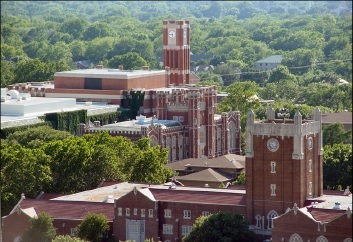 The international headquarters of Sigma Alpha Epsilon is seen here in Evanston, Ill.
Several of University of Oklahoma’s buildings are shown here taken from Sarkeys Energy Center. 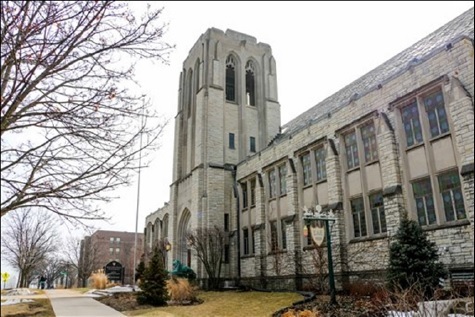 NORMAN, Okla. (CBS News) – Leaders and alumni of the Sigma Alpha Epsilon fraternity at the University of Oklahoma acknowledged on Wednesday the racist chant at the center of a firestorm was not new to the chapter. “We are sincerely remorseful for the pain that this terrible chant has caused and would ask for forgiveness,” the statement read. 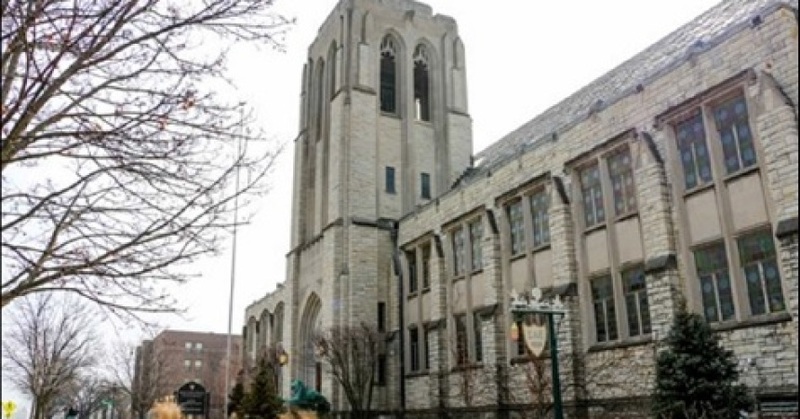 The statement comes a day after two students were expelled in connection with a video that surfaced Sunday which showed SAE members chanting a racist song before a fraternity event. OU President David Boren quickly shut down the fraternity and forced its members to move out of the chapter’s house by midnight Tuesday. In addition to the two students who were expelled, the university continues to investigate who else was involved. Meanwhile, the University of Texas at Austin is investigating rumors that SAE members there used a similar fraternity song. UT Austin president Bill Powers released a statement Wednesday confirming the investigation. “Our dean of students said Monday she is looking into this matter as is standard practice in such cases,” the statement read. However, the SAE chapter at UT Austin sent out a strong response distancing itself from its OU counterparts calling the song “vindictive” and saying his fraternity brothers were “appalled” by it. “I would like to clarify that we do not perform this chant or anything remotely close to it for that matter, nor had I, or any active member in our entire chapter, heard of the chant preceding the release of the video containing racial slurs,” said chapter president Luke Cone in a statement to CBS News affiliate KEYE. In the fallout from the incident at OU, the students identified on the video as leading the chant issued apologies Tuesday night. This article was reprinted with permission from CBS Interactive Inc. and Black America Press USA.